Have an old printer? Need to add a parallel port? 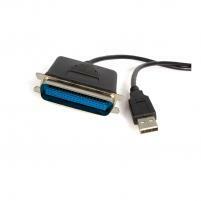 Get our GNU/Linux supported USB to parallel printer cable. In practice all recent distributions are supported.